How can you say “no” to that face? 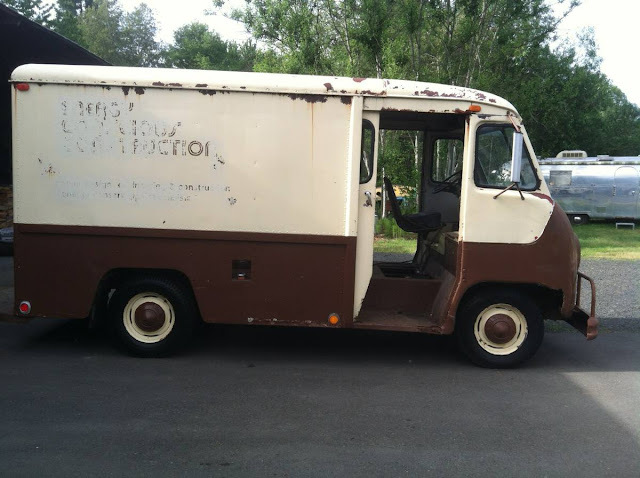 This 1959 Chevrolet Step van brings to mind the idea of a milk truck or some other iconic 1950s delivery needs. 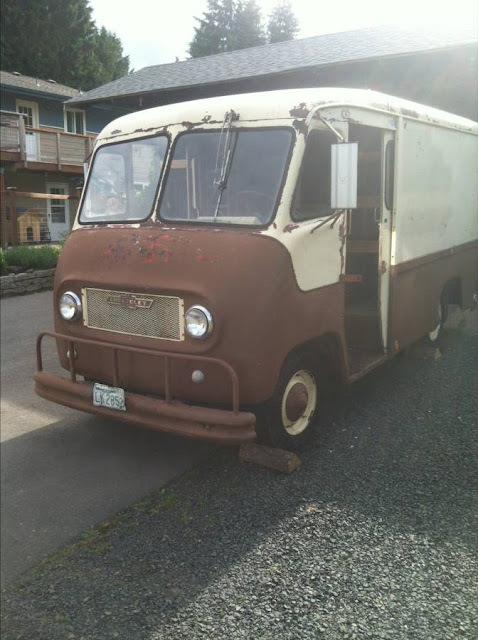 The seller states that it has some rust but this Chevy's iconic looks, and possibilities make the mind wander as to what it could be converted to for modern day use. This 1959 Chevrolet Step Van is available Olympia Washington for $3000 via Craigslist. The two tone paint scheme makes one wonder what the van's work history is. There appears to be some evidence on the sides, but it’s not clearly legible to detect this van's past. The large over bumper has probably been a blessing due to the front end being made of fiberglass. The body and box appear straight and the wood framed rear doors appeal to one’s simple sensibilities. This van is thankfully not a huge monster to try to deal with. It is smaller than many modern day campers making ownership much more feasible. The 235 straight six is noted as turning over, so there may still be a little life left in it. But many may opt for a swap, it’s a prime candidate for it really. Even a basic small block 350 would be an improvement, but there are plenty of suitable swaps for this truck. 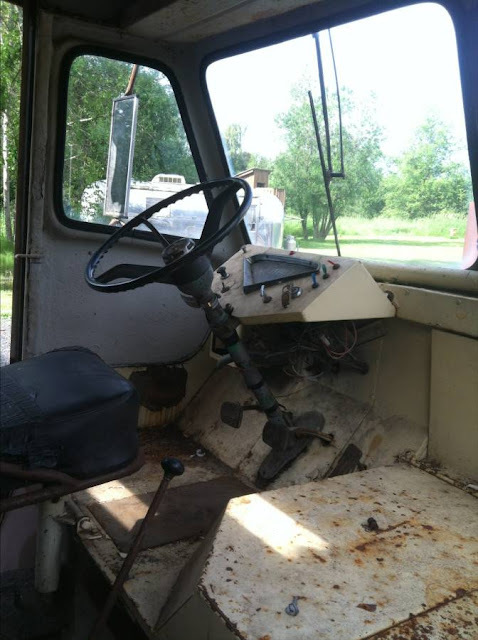 The interior is basic, but very spacious and simple. 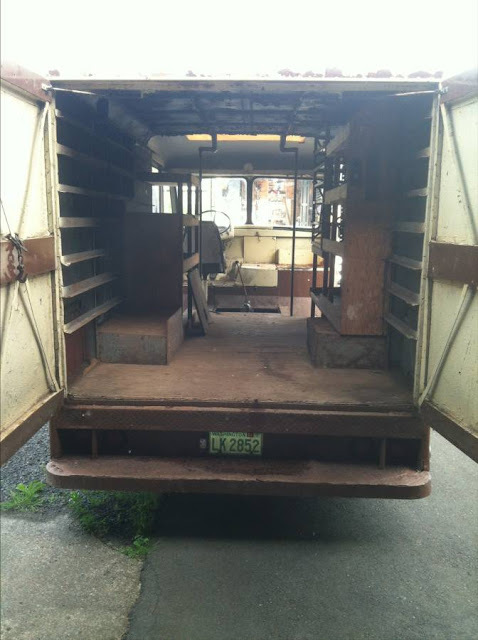 One could easily class up the interior of this van. The rear storage area is a blank canvas waiting to be created into a new utility. So what could be done with this? A few ideas come to mind: Shop van, Small food van, camper, motorcycle hauler, race support vehicle, etc. The possibilities make the mind spin and raises our desires for this Chevrolet. The seller is dead wrong about the nose cone being fibreglass. I'm almost certain this vehicle was part of the limited-run FiberWeed constructed vans from Playas Tiajuana, BC Mex. Sadly most were plagued by border wait conflagration issues incurred as a result of errant airborne roaches. The new owner will have hours of foggy fun re-enacting his favourite 70s movies. This van/home is well suited to endless takes/replays of "Opperacion El Lardass".